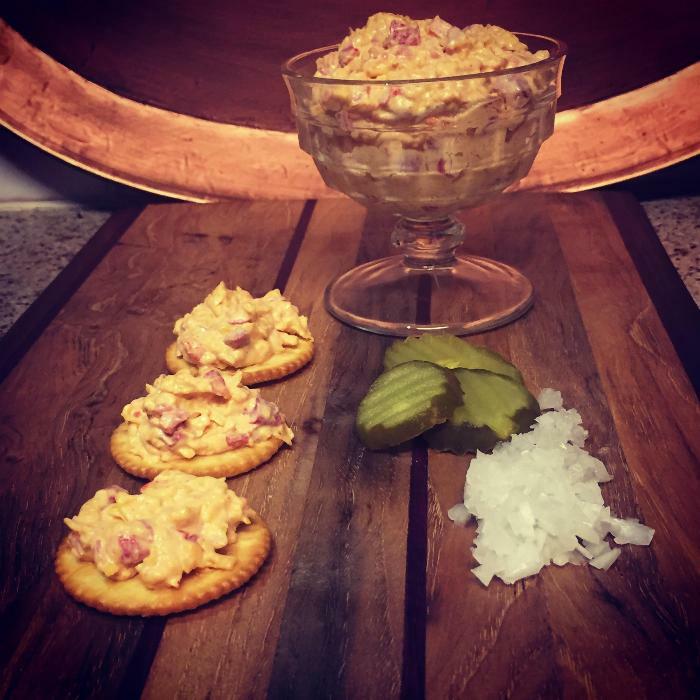 Pimento cheese is the essence of Southern fare! Woodford Reserve Bourbon, is perhaps one of the best bourbons and give this a rounded taste that is simply divine. My number one rule of any alcohol/food infusion is if it isn't drinkable, don't use it! Allow this to refrigerate overnight for best results. 1Combine Mayonnaise and cream cheese together. 2Mix in onion, worchestershire sauce, bourbon, smoked paprika and cayenne. 3Fold in sharp cheddar cheese and pimentos. 4At the very end, add the pickle juice. 5Add kosher salt of desired. The pickle juice cayenne and bourbon really set this apart. It just may be better than Grandma's!